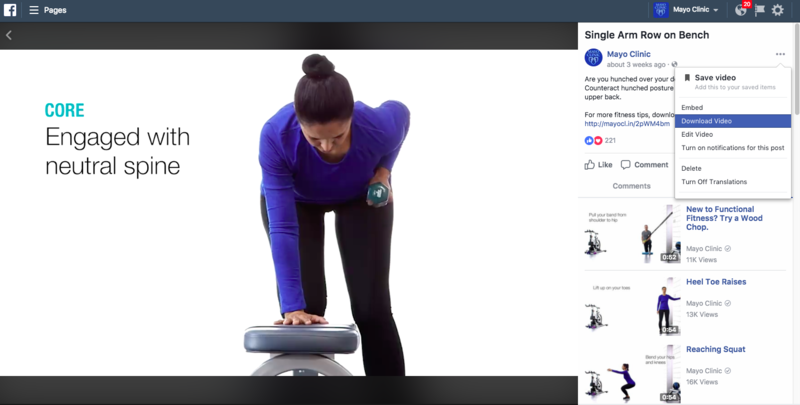 If you were at the MCSMN Annual Conference earlier this month, then you heard Mari Smith talk about the importance of square video on Facebook. (If you missed it, you can read the recap of Day 1 and Day 2.) One staggering stat is this: Square video (1:1) takes up 78% more real estate in a mobile newsfeed than landscape video (16:9). Before I share a few ways to convert your video to square, let's talk about ways to get video. The first is to download videos you've already posted on Facebook. This is also true for Facebook Live videos. 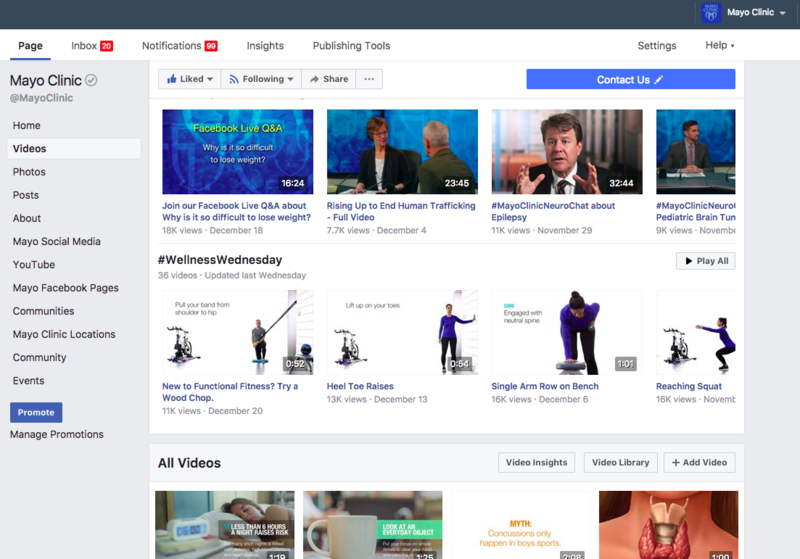 You can download your Facebook videos from the Facebook Business Manager, if your Page uses it). To do this, go to the Videos tab and select the video you want to download. Once your selected video is open, click on the elipsis menu icon (…) to the right of your Page name and select Download Video. In addition to downloading previously produced videos, the other way to obtain video is simply to shoot it. I'll be using my iPhone for this guide, so I've saved the above video to my phone. 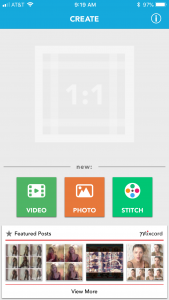 I use two apps to create square video, Square Video and Video Crop. Each one has a different use. 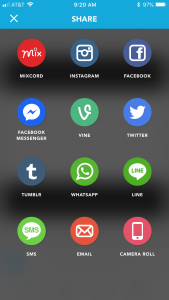 There are other apps, but these are easy to use and do not place their logo in the corner of the video. For this video, I'm going to use Square Video because the original video uses all of the 16:9 format and I don't want to crop out any of the words or athlete. Square Video creates a letterbox so you still have all of the 16:9 video in your square video. When you open the Square Video app, select Video, then select your video from your camera roll. 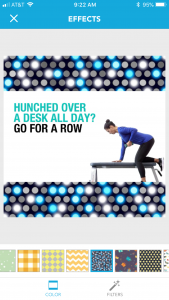 The app will show you a preview of your video with the standard letterbox setting (blurred, enlarged image underlay), or you can experiment with other designs and effects. When you're ready to save your video, tap SHARE in the upper right corner and select CAMERA ROLL from the options. 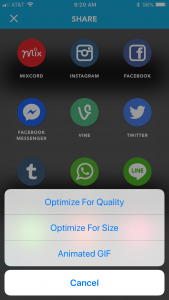 You can optimize for quality or size, or create an animated GIF. I always opt to optimize for quality. For a video that will not require a letterbox, I use the Video Crop app. 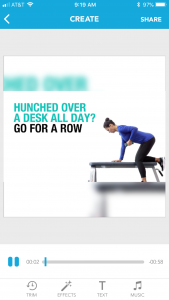 This app can convert videos that were originally shot vertically or horizontally. This is ideal for a Facebook Live interview with one expert, as shown in the example below. 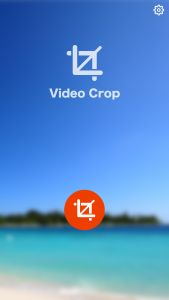 When you open the Video Crop app, click on the crop tool icon, then select the video you want to crop from your camera roll. 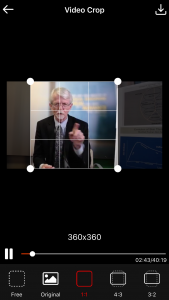 Select the aspect ratio you want (1:1), and position the crop box to the desired location for your video. 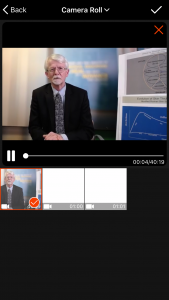 When you're ready to save your video, tap the download icon in the upper right, then click Save to save the square video to your camera roll.